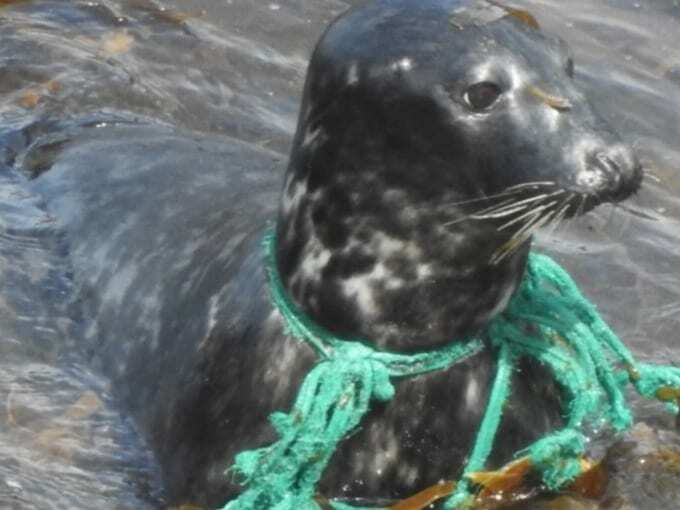 This spring, a grey seal was found strangled with fishing net by a team of rescuers in England. The seal’s neck was hurt because of that rope and it couldn’t do anything but waiting to be saved. The life of this poor animal was in danger all the time. But it was lucky enough to be saved, and the rescuers called it “Lucky Star”. Also, they have encountered difficulties trying to save it, because it jumped in the ocean at first, but it was finally captured onshore. The rescuers’ perseverance should always be appreciated in this case. 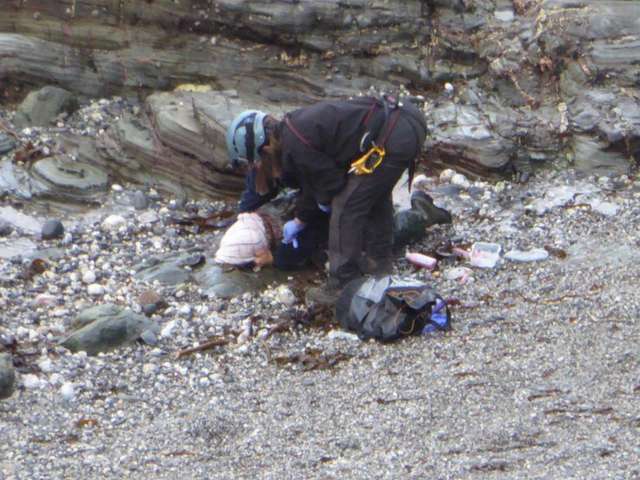 “When he was seen, he would often be heartbreakingly just out of reach, either hauled out on offshore rocks or swimming in the sea where it was impossible to get him,” the Cornwall Seal Group Research Trust said in a release. After four months when it was seen in danger, two heroes named Dan Jarvis and Sue Sayer finally saved it. They cut the rope that put the seal’s life in danger, so that way Lucky Star could be free to normally breath and swim. But something was still strange in its behavior. Its suffering was more and more visible. “Underneath the net, a raw deep wound was revealed across the back of his neck that would have caused him a great deal of pain every time he moved,” the Trust wrote. Thankfully, though, now the seal was able to heal. The rescuer took care of Lucky Star and he treated it right with antibiotics until its condition has improved. “I’ve watched this animal too many times and not been able to rescue him to allow him to slip away one more time. Winter is coming, and this may well have been our last chance to save him,” Jarvis said.